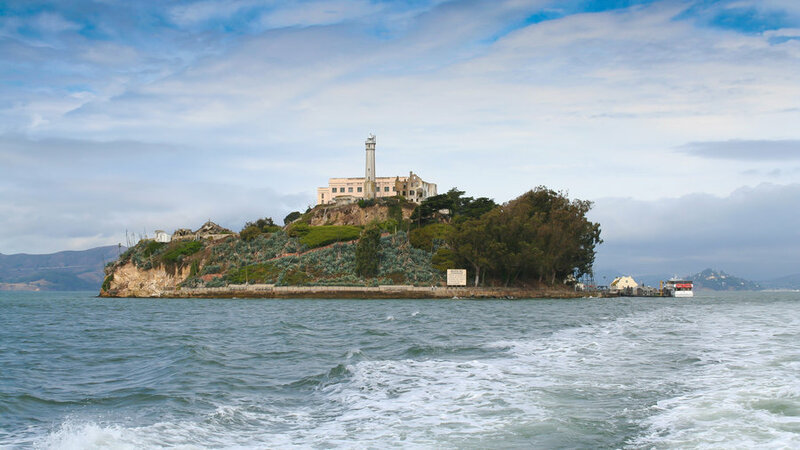 Every year more than a million people visit the Rock, mostly to savor a safe dose of mayhem: the illicit thrills you get from stories of Al Capone and hidden shivs and hard time done a long time ago. Don’t miss the gardens, though: a surprising moment of beauty under the glowering concrete walls. $$. Ferry tickets: www.alcatrazcruises.com or 415-981-7625. 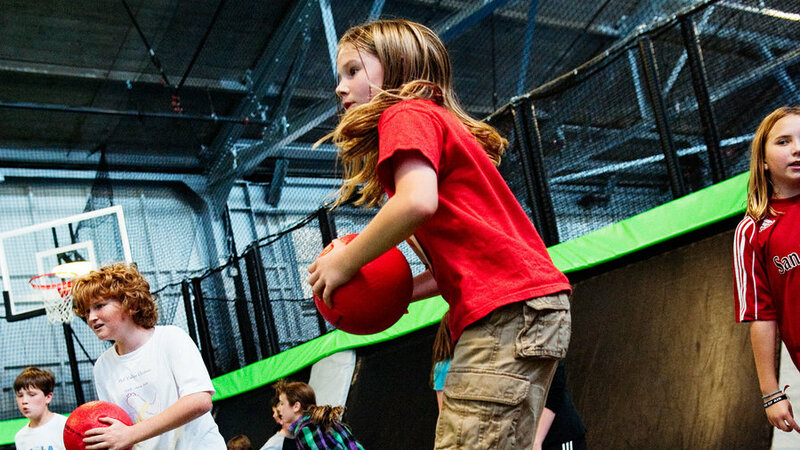 Devoted to educating and entertaining children ages 10 and under, the center includes a theater, store, indoor toddler play area, and art studios. 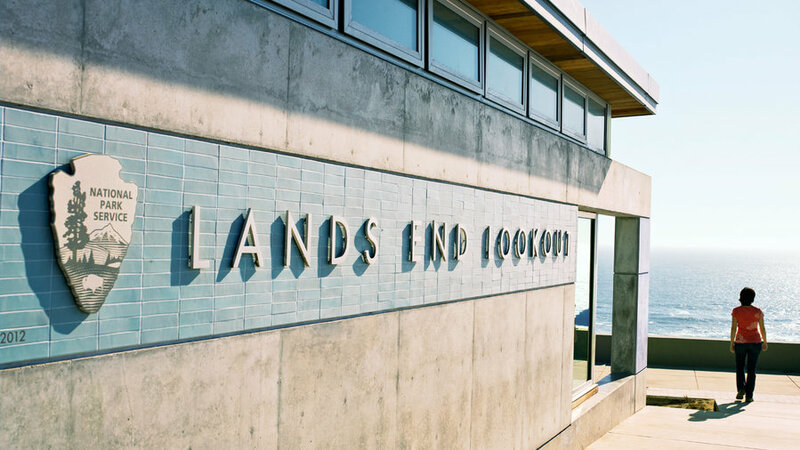 Kid-scaled construction sites and animal-themed structures explain the headlands’ past, including the traditions of the native Miwok tribes, area shipwrecks, and the place’s wild residents, from seals to sea stars. 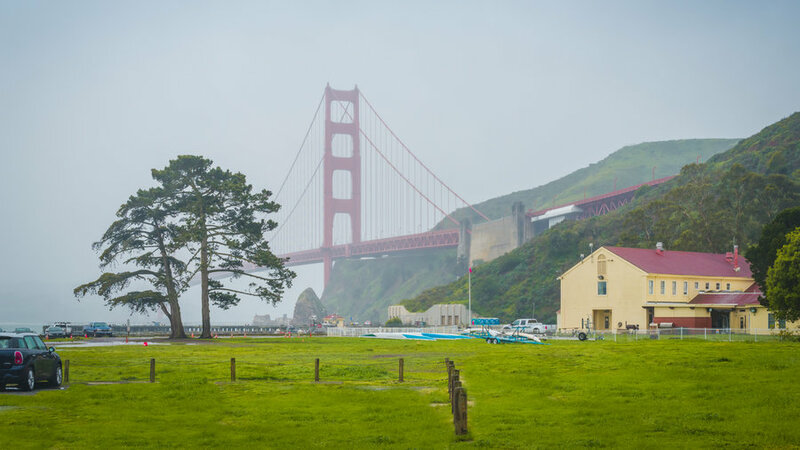 With an unparalleled close-up view of the Golden Gate Bridge, the museum will delight parents, too. $. 557 McReynolds Rd. ; baykidsmuseum.org or 415/339-3900. If it’s sunny, the ocean views from the terraces are the best in San Francisco. If it’s foggy, you can duck into the polished redwood-and-concrete visitor center to learn about the Ohlone people who once lived here, see photos of the old Playland park, or buy a cup of clam chowder at the café ($). 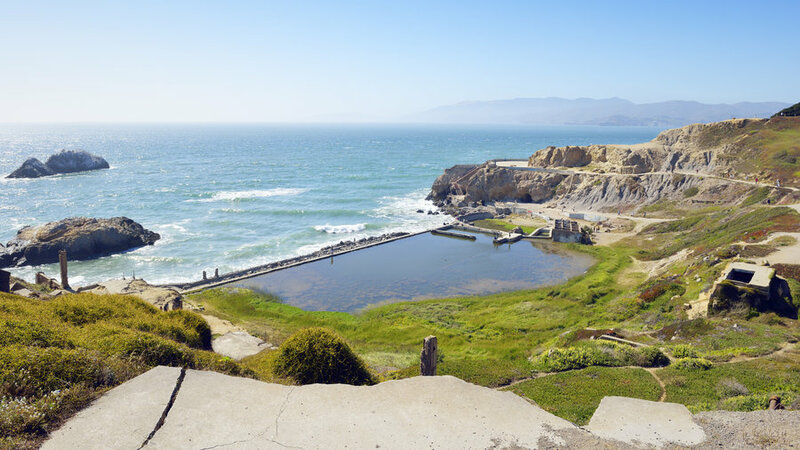 Below the Lookout, the Sutro Bath ruins are all that remain of millionaire Adolph Sutro’s extravagant public bathhouse, which featured seven swimming pools, water slides, trapeze rings, and an amphitheater. 680 Point Lobos Ave.; parksconservancy.org or 415/426-5240. Windswept cypress trees give way to views all the way down Ocean Beach at this former site of Sutro’s 1880s mansion. There’s a track-size trail and a rock staircase leading to an elevated plateau. Geary Blvd. at 48th Ave. parksconservancy.org or 415/561-4323. 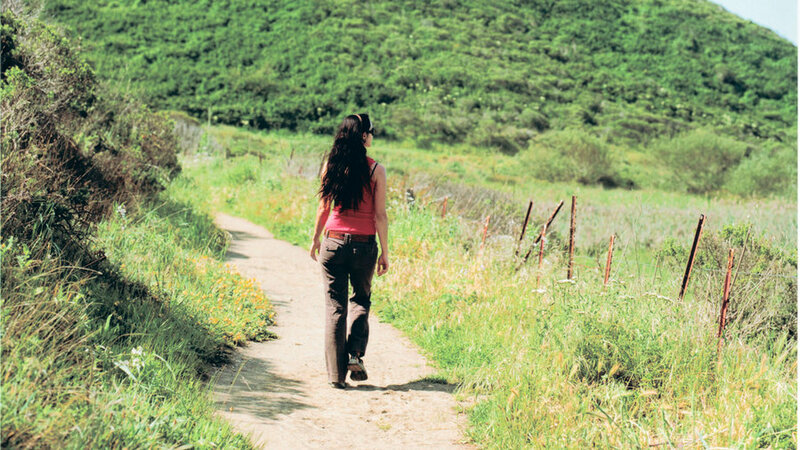 Way up on the hill above Rodeo Beach, this nonprofit facility is no zoo. 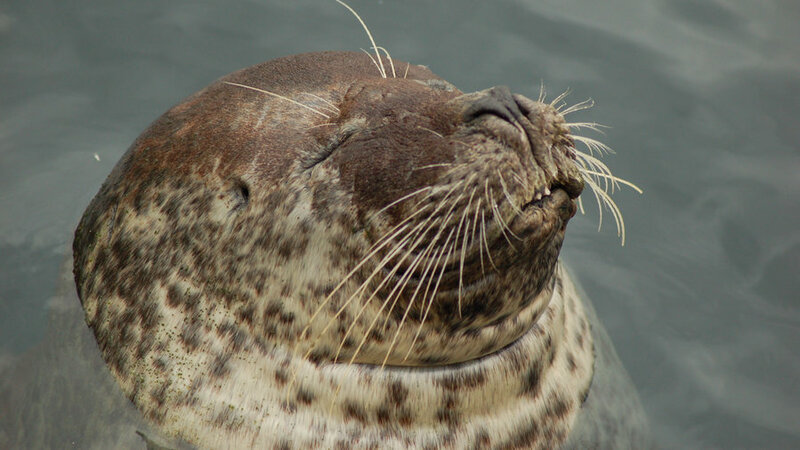 It’s an ER and rehabilitation hospital for sick and injured elephant seals, harbor seals, otters, and sea lions. Spring is usually an especially good time for a visit with elephant seal pups. Free. 2000 Bunker Rd., Fort Cronkhite; marinemammalcenter.org or 415/289-7330. 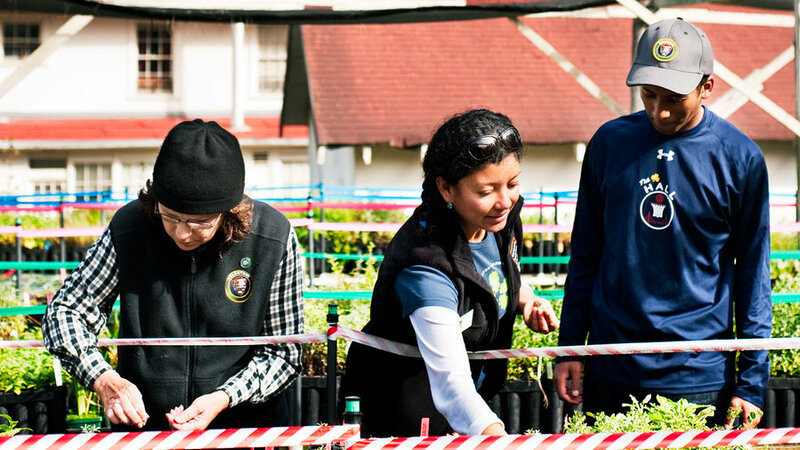 Volunteers are welcome to assist with restoration, groundskeeping, and engineering efforts every Sat. 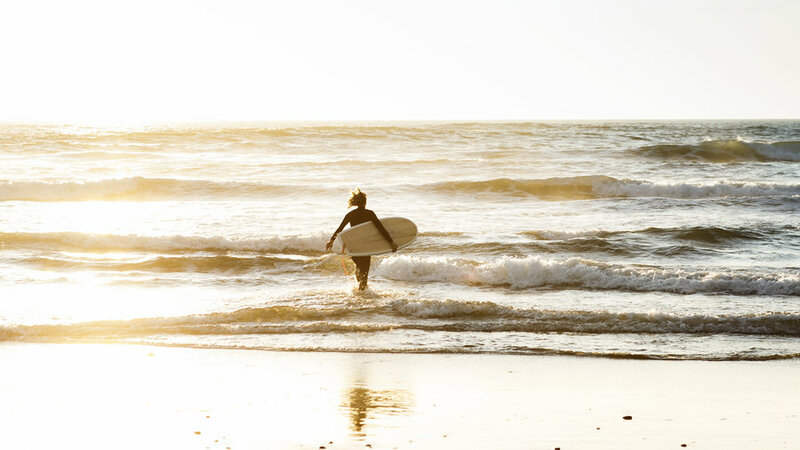 Guided walks Wed–Fri. Free. Field Rd., just up the hill from Marin Headlands Visitor Center; nps.gov or 415/331-1540. 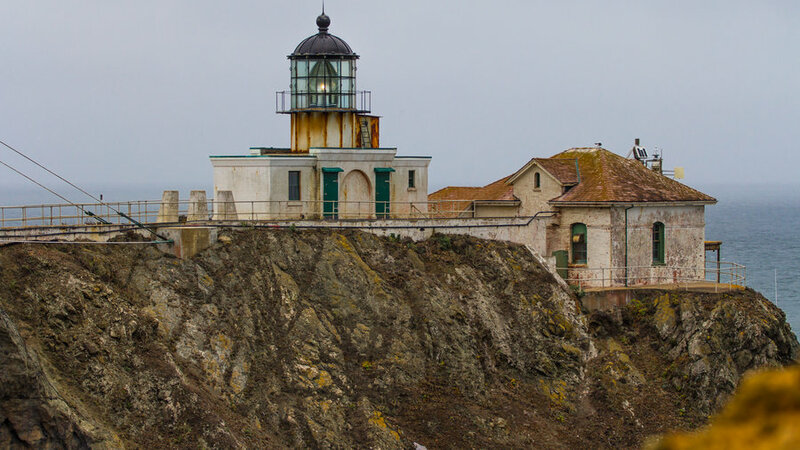 The journey to the 1850s Point Bonita Lighthouse—at the end of a steep ½-mile trail and across a swaying suspension footbridge—is not for the faint of heart. 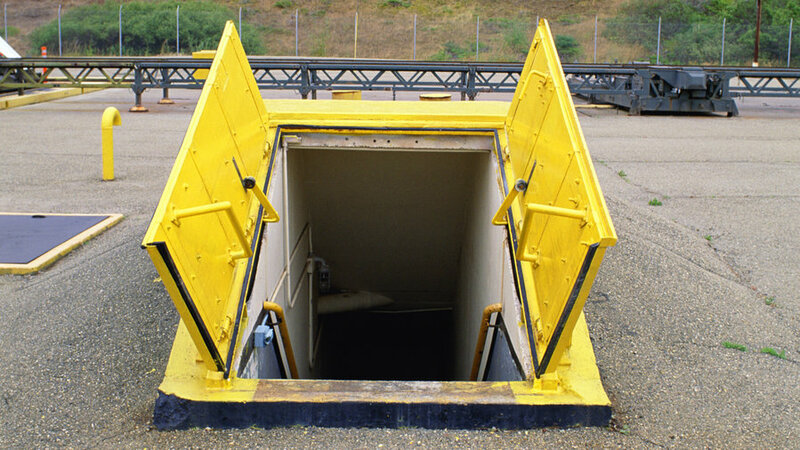 12:30–3:30 Sat–Mon; free. parksconservancy.org or 415/331-1540. Sign up for the monthly Sunday tea ceremony ($$) or drop in for a guided meditation (small donation suggested) and stay for a wholesome communal-style vegetarian lunch (small donation suggested) at this farm and retreat center, home to some 70 students and teachers of Soto Zen Buddhism. Gardens and organic nursery open 9–4 daily except during retreats. 1601 Shoreline Hwy. (State 1); sfzc.org/ggf or 415/354-0411. 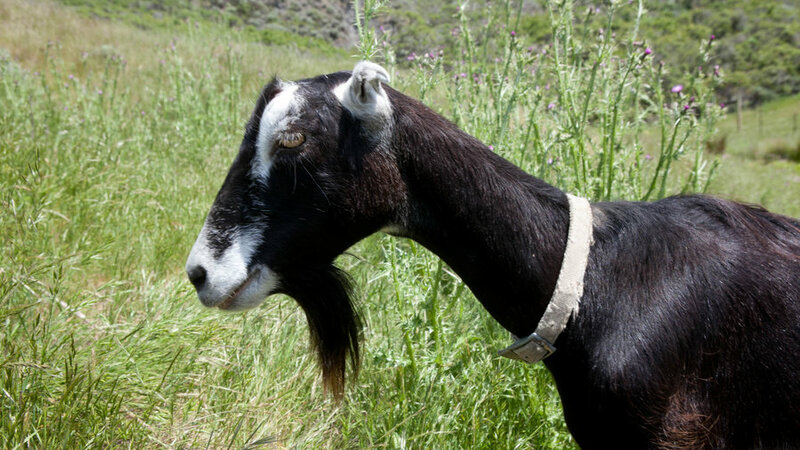 Goats, sheep, chickens, and ducks live in the coastal wilderness haven near Stinson Beach. Wander the grounds (it’s all public land) or sign up for a Saturday family day ($). Grounds open dawn to dusk daily; free. 2025 Shoreline Hwy (State 1); slideranch.org or 415/381-6155. Hobnob with the snowy plovers and help preserve San Francisco’s natural beauty during the Surfrider Foundation’s beach cleanup days. First and third Sunday of each month. Largely handmade from start to finish, Arion’s extraordinary books include Andrew Jackson Grayson’s Birds of the Pacific Slope, as well as a Seamus Heaney book illustrated by Sol LeWitt. 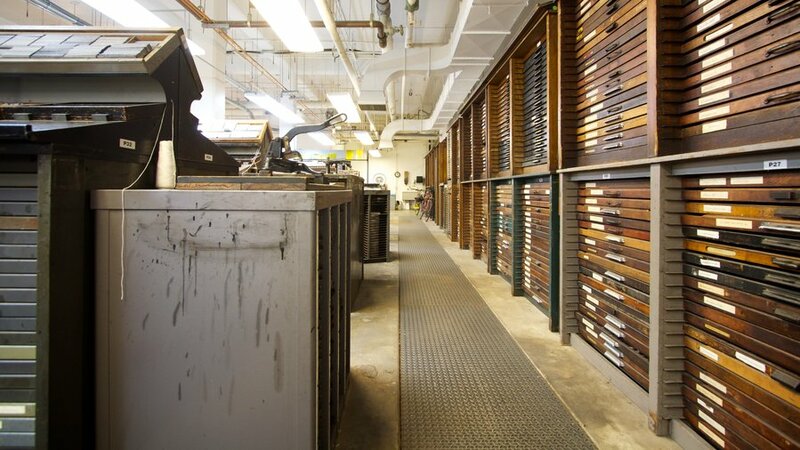 See the letterpresses and type-making machines in action on the weekly tour. Thursday afternoons at 3:30. $. 1802 Hayes St.; arionpress.com or 415/668-2542. British artist Andy Goldsworthy has returned to the Presidio again and again, leaving an intruiging work behind him each time. First was 2008’s Spire, a 90-foot steeple of cypress near the Presidio Golf Course. 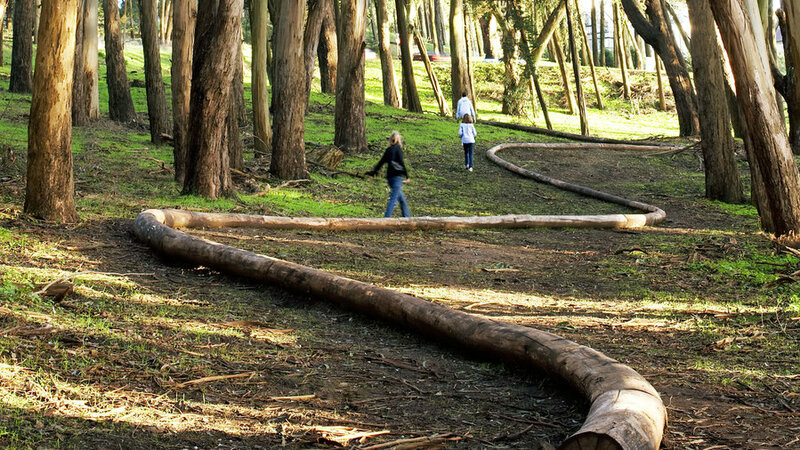 This, and his next piece, Wood Line, a sinuous shape near Lovers’ Lane made with downed eucalyptus branches, are destined to merge, slowly, with the surrounding forest. His third installation here, Tree Fall, exists inside the fort’s old powder magazine, a one-room stone structure in the Main Post’s parking lot, and his fourth, Earth Wall, is hidden in a courtyard off the Officers’ Club. 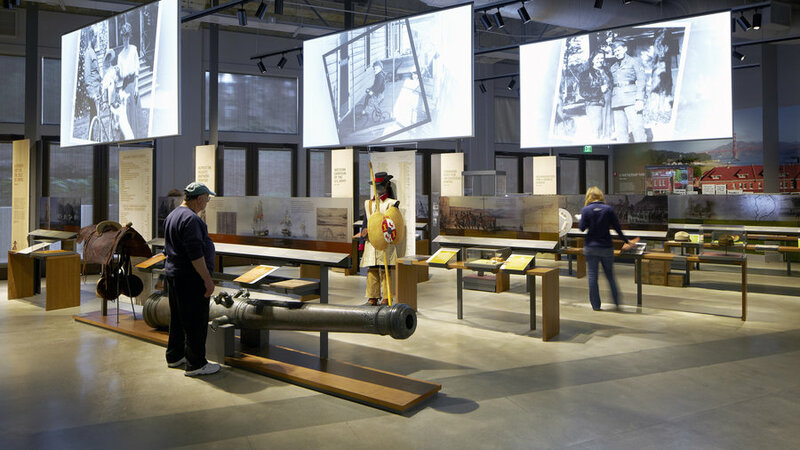 After a recent renovation, this has become combination visitor center, museum, and gathering place; its Moraga Hall is a real sit-down-and-relax lobby, complete with fireplace, in the tradition of the grandest park lodges. 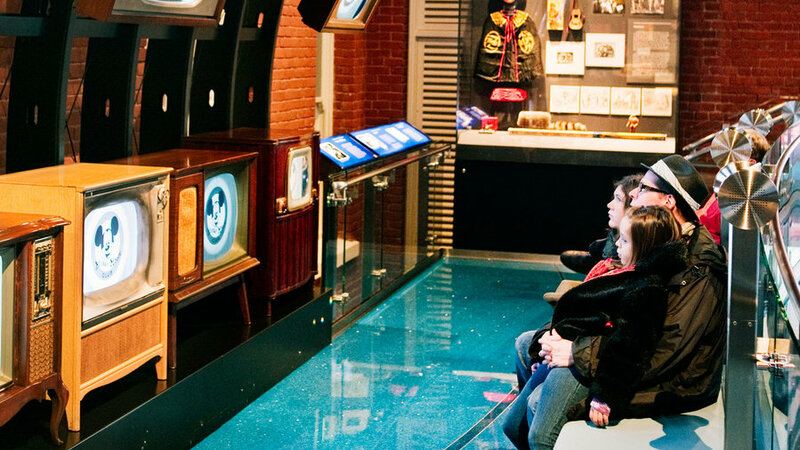 The Heritage Gallery, though, reminds you that the Presidio wasn’t always a place for recreation, but the last stateside stop for tens of thousands of soldiers heading to far-off wars. Free. 50 Moraga Ave.; presidioofficersclub.com or 415/561-4400. The vinyasa yoga and beginner-friendly belay rope-climbing classes at this climbing gym (formerly a motor-pool repair shop) both come with a little something extra: wall-size vistas across the shimmering bay to Alcatraz. $$. 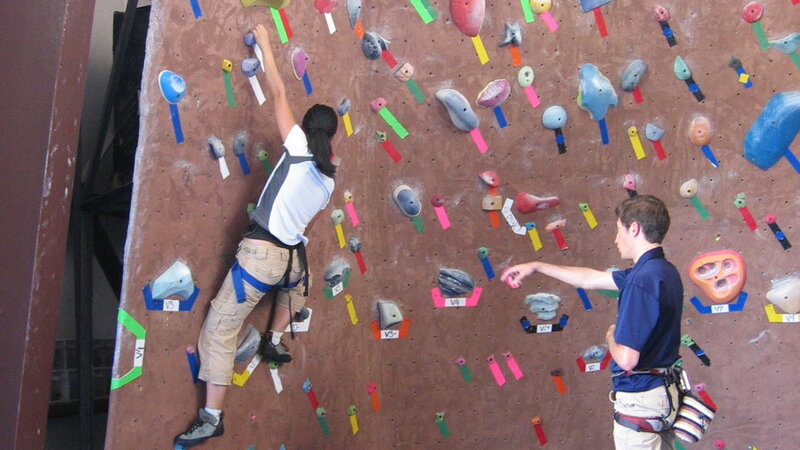 924 Mason St.; planetgranite.com or 415/692-3434. On Wednesday and Saturday afternoons, you can volunteer at this facility, which is growing nearly 125,000 native plants for the park and has a spiffy net-zero energy Seed and Plant Lab. You could find yourself pruning toyons, transplanting snowberry seedlings, and, of course, getting tips for your own yard. parksconservancy.org (click on “Volunteer”) or 415/561-3044. 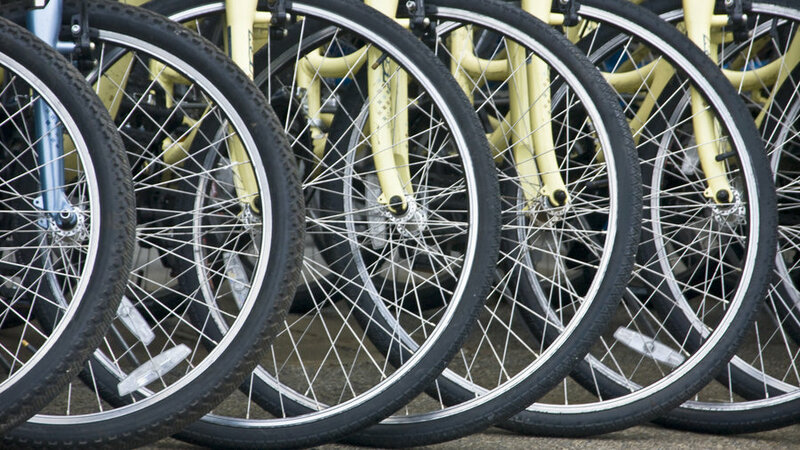 Rent a decked-out bike—helmet, lock, panniers, the works—at this popular outdoors-oriented sporting goods store (housed in one of the fort’s old commissaries), and the Presidio is yours to explore. On Sunday mornings, staffers lead free rides over the Golden Gate Bridge into Marin. $. 610 Mason St.; sportsbasement.com or 415/437-0100. More scholarly gallery than theme park, the museum suits its 19th-century brick building . Disney geeks will love the Oscar given to Snow White: one regular statuette and seven miniatures. $; 104 Montgomery St.; waltdisney.org or 415/345-6800.